#46. 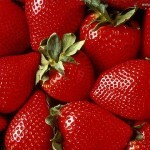 The Beatles, Strawberry Fields Forever – My favorite Beatles song, when I was 17 years old. #45. Ween, Freedom of ’76, The Jane Pratt Show – It was early in the morning, and they were very stoned. They were also very perfect. #44. The Flaming Lips, She Don’t Use Jelly (Live on Letterman) – Paul Shaffer appearance #1 in a band you’d never think he was a temporary member of. Won’t be the last time you’ll see him here. #43. The Magnetic Fields, Grand Canyon – Some of the greatest lyrics ever in a pop song. It’s an objective fact. #41. 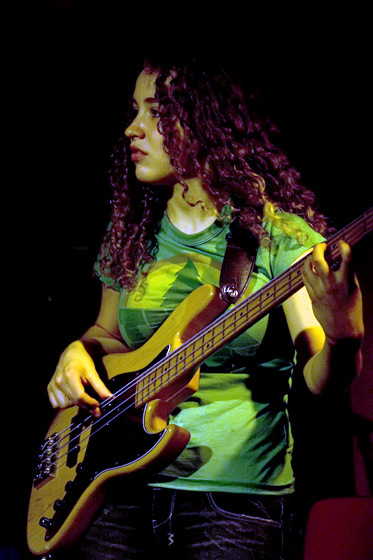 Jeff Beck and Tal Wilkenfeld, Freeway Jam + Blue Wind – The cutest girl who ever mastered bass guitar playing alongside Keith Richard’s life stunt double. #40. Jerry Lee Lewis, I’m On Fire – Ooh, the best Jerry Lee Lewis song that nobody knows about, except you, you MUST know this song. #39. Michael Jackson, James Brown, and Prince – The holy trinity of dance, funk, and soul all on the same stage at the same time. Such things make the gods very happy. #38. 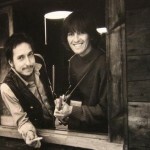 George Harrison, Paul Simon, Here Comes the Sun – George and Paul reunite! Not that Paul…Whole lotta bad hairstyles going on in this one. #36. Bob Dylan & Eric Clapton, Crossroads – Two grizzled vets having an absolute ball…Plus you get to see Dylan rock a Fender Strat live. Pretty cool. #35. Muddy Waters and the Rolling Stones – First you get Muddy rocking the song that gave the Stones their name, then you see them rocking together with Mick high on cocaine! #34. Matthew Sweet, We’re the Same and Girlfriend – The only two Matthew Sweet songs I’ve ever heard, but I’ve played them a million times. #33. 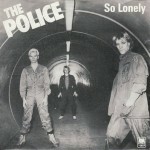 The Police, So Lonely – What a fantastic cut from the Police. This is Sting just how we like him; young, angry, and single. #32. 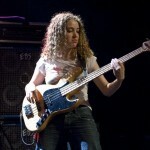 Neko Case, Buckets of Rain – The woman with best voice in rock singing my favorite Bob Dylan song of 2011! #31. The Beatles, Hey Bulldog vs. Lady Madonna Video Controversy – The geniuses at Apple mixed these two clips up years ago! It only took them 25 years to sort em out. #30. 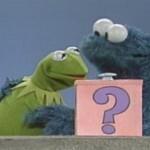 Kermit and the Cookie Monster – The funniest Cookie Monster video you’ll ever see. Also the greatest acting by Kermit. #29. John Lennon, Dear Yoko (home performance) – John Lennon inventing the “upload yourself singing with a guitar for youtube” video, 25 years before youtube is invented. #28. Paul McCartney, For No One – Paul McCartney is a real underrated acoustic guitar player…Every time he picks one up, he can freeze the world. #27. The Dirty Mac, Yer Blues – The greatest one off super group of all time. Lennon, Clapton, Richards, and Mitchell. Oh yea, and Yoko Ono is trying to get out of a bag or something. #26. The Rolling Stones, Jumpin’ Jack Flash (Rock and Roll Circus) – The sexiest, sludgiest performance of this classic the Stones ever pulled off. #25. 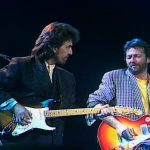 George, Elton, Eric, Ringo, While My Guitar Gently Weeps – A bunch of superstars aligned to play the White Album classic in classic horrible 80s gear! This entry was posted on Wednesday, June 29th, 2011 at 1:04 pm and is filed under Youtube Favs. You can follow any responses to this entry through the RSS 2.0 feed. You can leave a response, or trackback from your own site. Good review! This is exactly the type of article that should be shared around the internet. Sad on the Yahoo for not ranking this post higher! Thanks a lot. Please keep reading. Thanks a lot, keep reading.